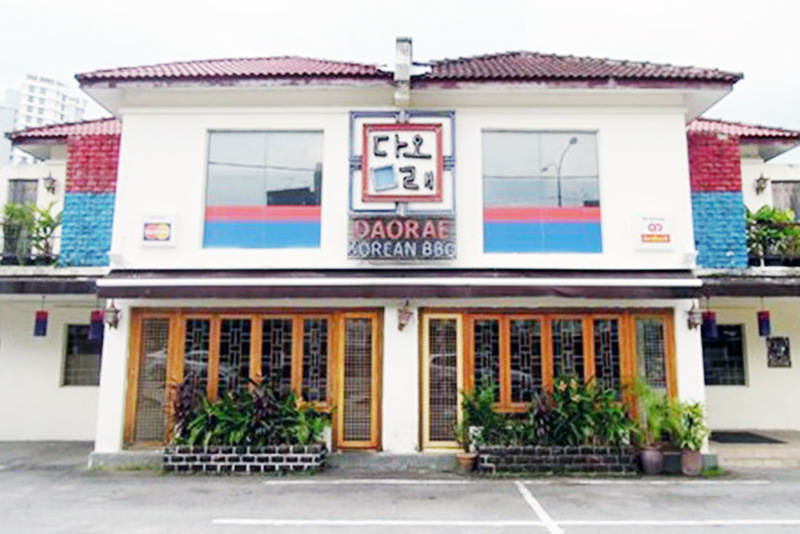 Daorae Korean BBQ Restaurant is the well-established Korean restaurant chain in Malaysia that have around 15 outlets across the country. In Penang itself there are already 3 outlets and the Tanjung Tokong outlet is one of the more popular Korean spots, where the K-pop singer PSY was here when his last visited Penang during the last election campaign. They are offering 9 complimentary and refillable side dishes (Ban Chan) that changes daily, one of the most generous restaurant in terms of providing free side dishes. One of the most important criteria for a good Korean restaurant is able to prepare juicy and delicious BBQ meat dish. As shown in the picture, the slices of pork belly are well marinated in Korean traditional Chili sauce. Here are 2 sets of the same dish on the griller. Lean skinless chicken fillets marinated in their hot chili sauce. This is also 2 sets of the same dish on the griller. Slices of pork belly marinated in special Korean ginseng and herbs extract. Choice Pork ribs specially hand filleted, marinated in special Korean ginseng and herbs extract with sweet soy sauce. A unique, traditional dish comprising fine slices of pear over cold buckwheat noodles in a cold chicken soup. Taste a bit sour, but very refreshing. Korean glass noodles pan-fried with thin slices of marinated pork and assorted seasoned vegetables in sesame oil. A spicy combination of pork belly, kimchi and tofu in a rich kimchi soup. Served with steamed rice. Stir-Fried traditional Korean rice cake in spicy chili sauce. Fine slices of prime pork and squid marinated in their special spicy chili sauce and simmered in its own juices with vegetables. A delicate savoury pancake comprising of fresh seafood in batter topped with spring onions. A must to have dish in Korean restaurants. Address: 104 & 104A, Jln. Tanjung Tokong, 10470 Tanjung Tokong, Penang. The price list presented here is as on 7th March, the day when I visited the restaurant, They do not charge 6% GST but they do have 10% service charge.